Loukas Mavrokefalidis became the first Greek player of the Chinese CBA as a member of the Qingdao Eagles. 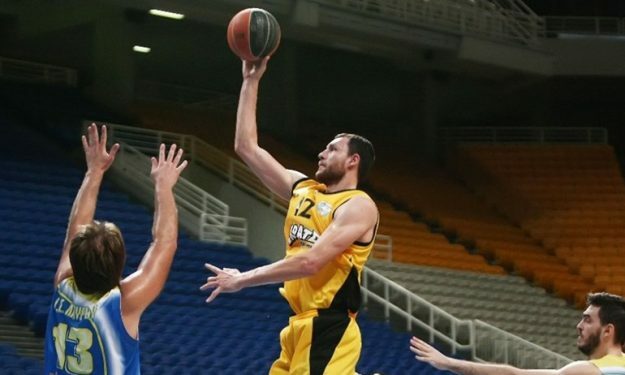 The former AEK big man is already in China and has a deal until February, which can be extended if his team qualifies for the playoffs. Born in 1984 Mavrokefalidis was selected by the Minnesota Timberwolves in the 2nd round (57th overall) of the 2006 NBA Draft and has played for PAOK, Olympiacos, Panathinaikos, Roma, Barcelona, Valencia, Marousi and Spartak St. Petersburg. He has also been a member of the Greek national team. He was bound to play this season with AEK, but he was release by mutual consent during the pre-season.